My undergraduate dissertation looked at the effects of reduced canopy capacity of grasses in HadCM3. The aim was to look at the potential side effects of increased hydrophobicity due to increased leaf wax, when enhancing the albedo of crop plants. This built on the proposal of creating a cooling effect from high albedo crops (see Ridgwell et al 2009). 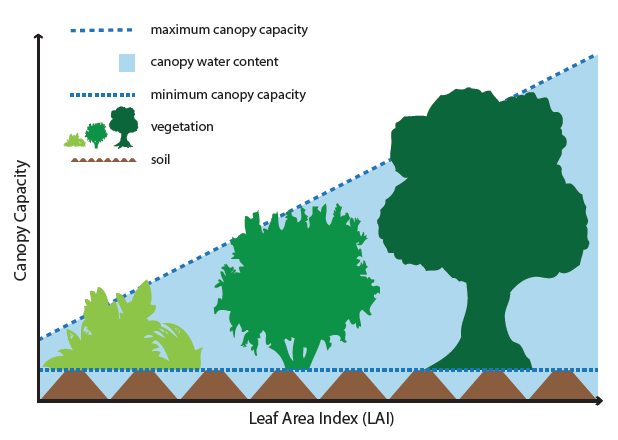 I used the Hadley Centre climate model HadCM3 to explore this question, with scenarios of reductions of in canopy capacity of 50% and 90% in C3 and C4 plants and also scenarios of reduced canopy capacity in trees. This research involved developing a detailed understanding of the complex relationship between crop plant hydrophobicity and canopy capacity, and the scientific basis of UM Version 4.5. The concept of investigating the effect of altered leaf hydrophobicity as a side effect of increased leaf albedo was suggested by my supervisor, Joy Singarayer, when I expressed an interest in doing current research on climate change and vegetation. The work I did on canopy capacity resulted in my being invited to work as a research collaborator for the ‘crop albedo’ project, and the rest is history. I achieved a mark of 80% and the dissertation was praised by both markers as ‘authoritative’ and ‘outstanding’.